The benefits of homoeopathy are well recognized.A thoroughly proven scientific system for better health, homoeopathy uses medicines that are easy to prescribe, safe, non-toxic, non-habit forming, without adverse effects, and available at low prices. This book is a comprehensive and a practical guide to self-help homoeopathy - simple to understand and with clear and easy-to-follow instructions. 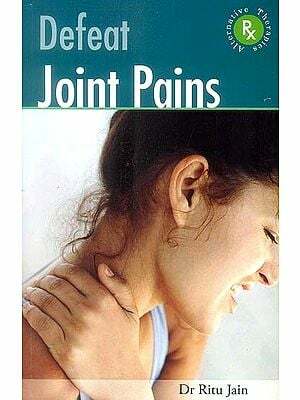 Organized for quick and handy reference, the book provides homoeopathic remedies for nearly all common and chronic ailments. The author, known as the 'father of homoeopathy', is the founder of Nehru Homoeopathic Medical College and Hospital New Delhi, and one of India's most eminent homoeopaths. This book is a result of his vast experience of more than 50 years. You don't require any previous knowledge of homoeopathy to understand or benefit from this uide to better health. ‘With names and properties of a hundred remedies, the book Serves like an instant dictionary to pin-point a remedy for almost any illness. The author explains the ABC of homocopathy, including dosage and potency of homoeopathic remedies. It was some time in 1967-68 that a Hindi book named Pariwar Chikitsa. Written by me, was published by Rajpal and Sons, Delhi. The book commanded a good sale and during the last ten years, several editions of it have been published, including two low-priced paperback editions. Shri Vishva Nath of Rajpal and Sons, on whose I had written the Hindi book, has now asked me to write one in English for the benefit of non-Hindi readers. 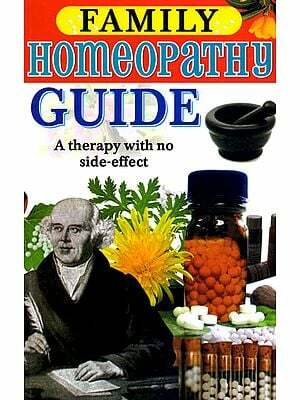 Thus this Homoeopathic guide in English is in your hands. I have been practising Homoeopathy for the last 60 years, and I have tried my best to give the benefit of my experience to those who are desirous of treating ordinary day-to-day ailments of theirs and their kith and kin. In India, as well as in foreign countries, there are thousands of laymen who take to such treatment themselves. Thus the diseases are nipped in the bud and a hit of trouble, anxiety, expenditure and inconvenience as avoided. Of course, in serious cases professionals are consulted. But before taking the help of this book for treating any disease, I shall request my readers to carefully go through the first few pages in which I have tried to explain the principles of Homoeopathy and have given some necessary instructions about the use of Homoeopathic medicines. Though there are more than a thousand medicines in Homoeopathy, a family chest containing about a hundred medicines will serve the purpose of a layman for treating his and his family members’ general ailments. I may repeat my request that the introductory chapter must be thoroughly read and understood before taking a case in hand. I again thank Shri Vishva Nath to write this hook and publishing it.? 2. Disorders of the Head and Face 38.